The Marvel Cinematic Universe is about to undergo some major changes, which has provided hope that a Fantastic Four reboot will occur somewhere down the line. The Disney acquisition of Fox hasn't officially gone through, but if it does, a sure bet would be a new version of the Fantastic Four coming soon. Earlier this week, A Quiet Place's John Krasinski expressed interest in the reboot and suggested that he star with his wife, Emily Blunt, which has led to fan excitement and some new fan art that imagines what the duo could look like as Reed Richards, aka Mister Fantastic, and Sue Storm, aka The Invisible Woman. Both John Krasinski and Emily Blunt were nearly cast as Captain America and Black Widow, respectively, in the MCU, so this isn't too far of a stretch. And now, BossLogic has provided us with an idea of how Blunt and Krasinski could look in a new reboot of the Fantastic Four. As with all of the work that BossLogic does, the images are incredibly detailed and realistic without too many bells and whistles, choosing to focus on the essence of the character and the chosen actor/actress. Blunt looks awesome as the Invisible Woman as does Krasinski as Mister Fantastic. The new fan art for a possible Fantastic Four reboot even finished off the rest of the crew. 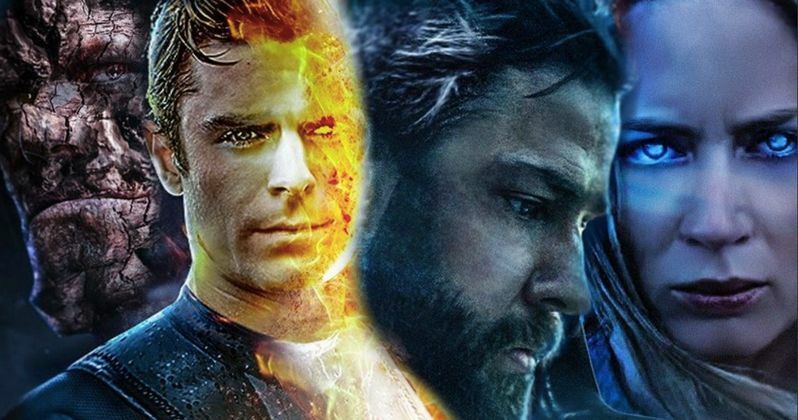 BossLogic imagined Zac Efron as the Human Torch and John Cena as the Thing, which is also a pretty good idea that one could easily see working on the big screen. There's still quite a while to wait before we find out the fate of the Fantastic Four franchise, but Marvel fans are praying that the MCU gets ahold of it to make a proper reboot. 20th Century Fox has recently had success with the Deadpool franchise, but the same cannot be said for the Fantastic Four. Josh Trank took on the franchise in 2015 with dismal results. The director has even stopped mentioning the movie and all of the actors involved pretty much pretend like it never happened at all. The same can be said for fans and critics who pretty much across the board, hated everything about the movie. However, it did not take place within the MCU timeline, which would have gone a long way in helping the doomed project. For now, the fate of the Disney and Fox deal rests on federal regulations. We could very well end up seeing the Fantastic Four back in the hands of Marvel with a new reboot that could maybe even star John Krasinski and Emily Blunt as Reed Richards and Sue Storm. As previously noted, we're still a long way from anything official happening to the franchise, but it's still fun to get excited about the prospects of a brand-new Fantastic Four movie under the Marvel Cinematic Universe umbrella. You can check out the fan art below, courtesy of BossLogic's Twitter account.